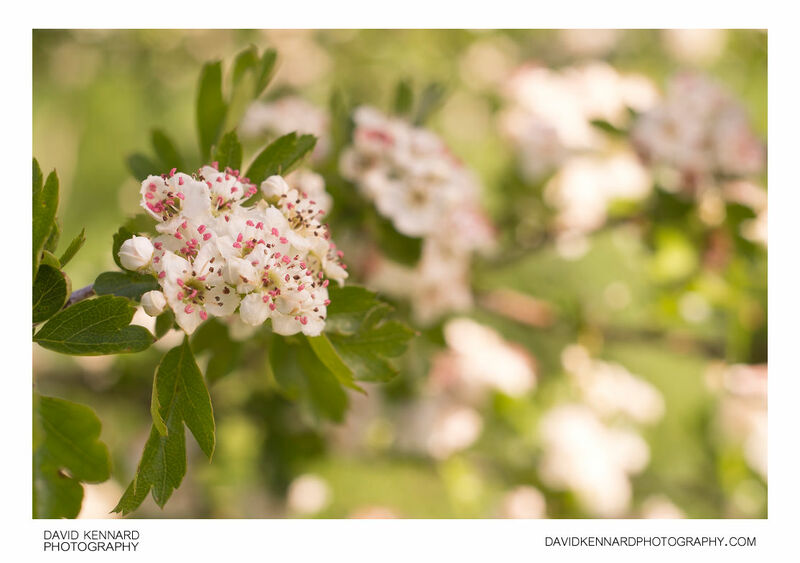 Photo of Crataegus monogyna (Common Hawthorn) blossoms. The flowers have 5 white petals. The centre of the flower is green, bearing a single style. The anthers are borne on white filaments and initially covered by a pink membrane. As they mature the membrane is shed, revealing the darker brown anthers covered with light yellow pollen grains. The leaves are relatively dark green and deeply lobed. Hawthorn flowers from May to early June, the blossoms produced in corymbs of between 5 - 25 flowers.